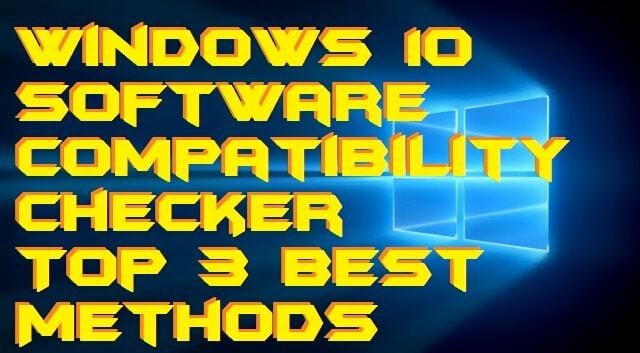 Hello friends, I will share 3 best methods for Windows 10 software compatibility checker. Users can do Windows 10 hardware compatibility testing to find out Windows 10 compatibility on their Laptop/PC. I will also share a link on how to Get Windows 10 App. You can also visit directly to Windows Compatibility Center and check Windows 10 compatibility on your system. Microsoft launched its Windows 10 OS in 2015 to worldwide admiration. Since then, PC users around the world are craving to get their Windows system updated to the latest version. But there’s a catch to it. Before trying to update your Windows, you have to check whether your PC is compatible with the newest version of the software or not. If it isn’t, there’s no point in even trying to do so. The OS will not run on your PC. These are the best method on Windows 10 Software compatibility checker. You can check whether your system is compatible with Windows 10 or not. Users can use these three different ways to identify, whether your Windows PC/laptop is compatible with Windows. You can check your hardware to software configuration by using these methods. In case you have booked a copy of the Windows 10 software through “Get Windows 10” app. You’ll find an inbuilt compatibility checker there already. Just right-click the “Get Windows 10” icon in the taskbar. Now you’ll find a Settings icon situated at the upper left corner of the app. Once you’ve clicked on the option, it will list out any probable issues (if any) with the software, apps or drivers. If you find any such problem mentioned there, it means your system is not compatible with Windows 10 at present. Uninstall the app and wait until the compatible version of the Windows for your PC is launched. Windows 10 may still work on your PC even if you download it while some issues are being shown, but it may not run smoothly and create some trouble for your system. It is better to wait therefore and get the better version of the software for your PC. The Windows Compatibility Center of Microsoft will let you know if your current hardware and software systems are compatible with the new Windows or not. You can utilize windows Compatibility Center from both Windows 7 & Windows 8 to check whether to upgrade to Windows 10 or not. But Microsoft put down the Windows Compatibility Center from its website in June 2015. You could find Windows compatibility center on the official Microsoft website. Just go to the site and search for Windows Compatibility Center and search for Download Windows 8.1 Upgrade Assistant for checking the compatibility setting for upgrading to Windows 8. And your PC is compatible with Windows 8. Then, it will be compatible with Windows 10 too. Microsoft has listed out all the hardware requirements for upgrading your PC to Windows 10 on its official website. You can check there to confirm, and in case something is missing from your system. Here are some of the requirements for having Windows 10 on your PC. Windows 10 has been widely lauded since its launch for its great UI and simple surfing techniques. It’ll be good for you to upgrade your system to Windows 10. Use the above methods to check your compatibility and after getting everything right, upgrade to Windows 10 immediately. You can efficiently use Windows 10 software compatibility checker on your Windows PC/laptop. It will help you to understand the need for software and hardware for Windows 10. Make sure you read it entirely before downloading any Windows 10 update. It will save both your internet data and energy. Do share this article with your friends and help them to know Windows 10 requirements in their PC/Laptops.